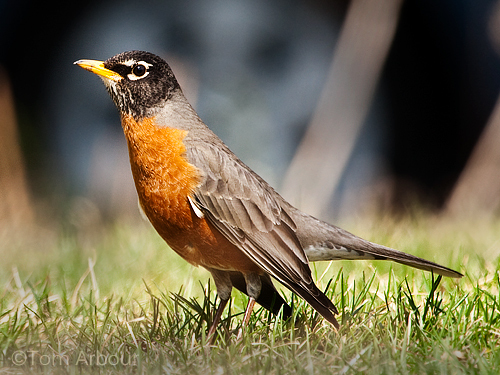 Beautiful.I love the sight of Robins on our yard.Jake and I put out raisins for them and they thank us with their presence.Actually I did a post on Robins not too long ago. Thanks Ruth...Do you have a link to that post? I haven't tried to feed them raisins, but maybe I'll try mealworms this summer. Okay. I give. I'm familiar with Dalibarda repens (also known as Dewdrop), but I don't get the botany/car connection. Explain, please. Pretty ~ I actually post quite a few Robins on my blog ~ I think they are lovely birds :) I've added the links below. Thank you for the kind comment on you left on my dragonfly post!